I’ve been riding this thing around on the weekends/days off. 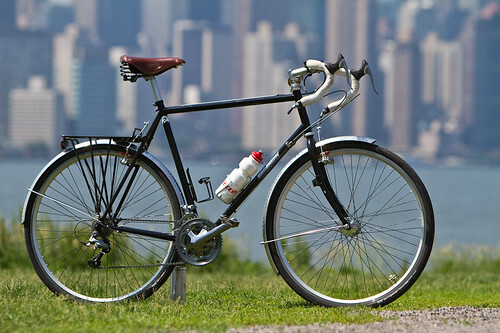 I moved to NYC with two bikes and one was a one-niner but it didn’t last very long. Other than that and a few loaners here and there I’ve just been on single speeds and fixed bikes for the last 5 years. 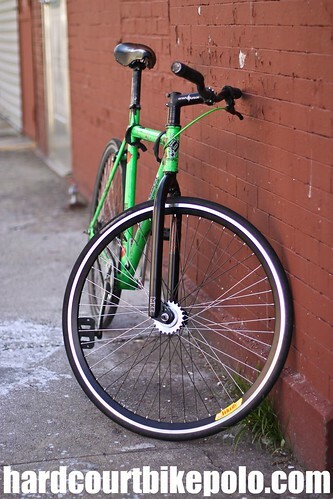 This bike is not build for speed but it sure is comfortable. 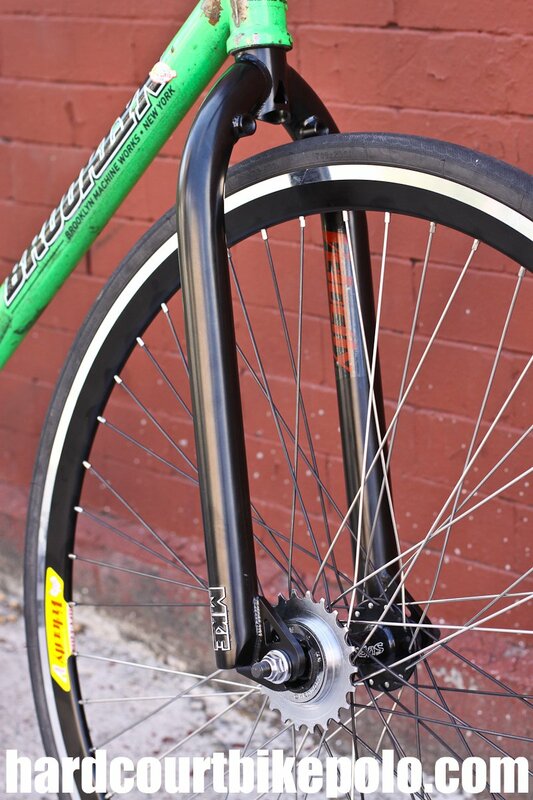 Steel frame with Phil hubs. 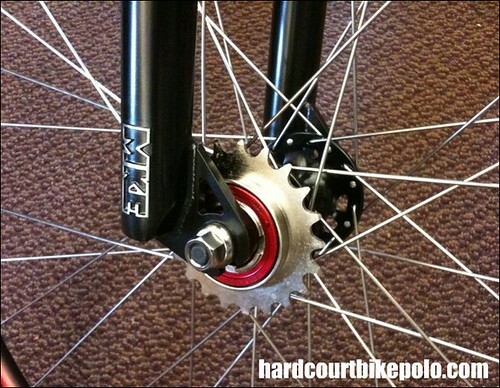 48 spoke Velocity Dyads wrapped in RiBMo 32′s. Paul Canti’s pulled by NOS Dura-ace levers. 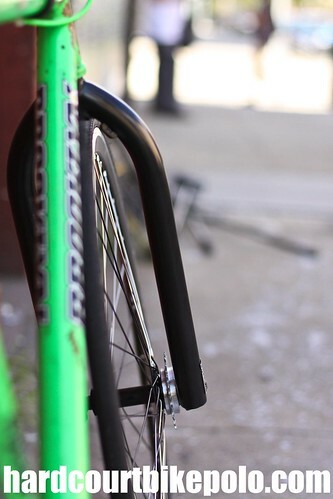 Dura-ace shifters moving Ultegra derailleurs. And a Brooks springer. And a big brass bell. 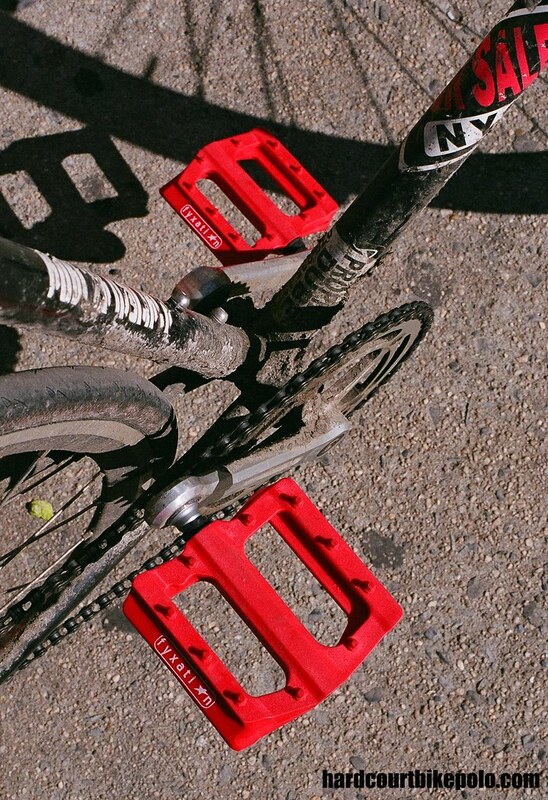 Fyxation sent out some of their new plastic (really they are high impact nylon) platform BMX pedals. 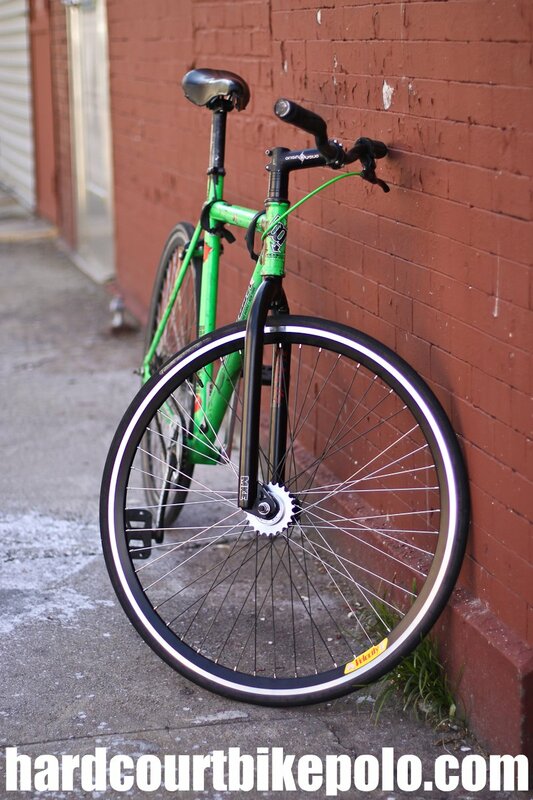 I’m a little between polo bikes right now ( i don’t have one) so these went on a work bike. I have been riding them daily for a few weeks now. When I rolled the bike out for the first time with these things I didn’t get to the end of the block before I thought “these feel good!” Weeks later and now that the weather has let me switch from big boots to my regular shoes I still think the same thing. These are nice pedals. This is going to be a quick review. 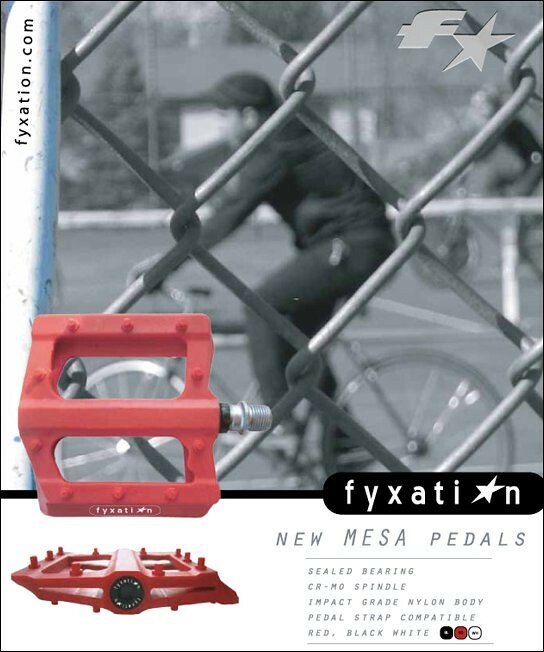 These Fyxation Mesa Pedals meet my picky standards for pedals. I’m going to pick up another set of black ones for my polo bike. I like these pedals and think most might too. 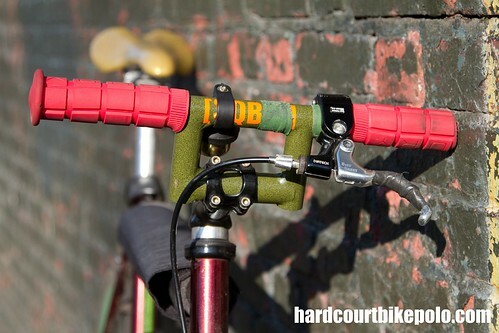 Here is another pedal ad in the current issue of Urban Velo that has bike polo in it. This ad is a little less obvious but that is no doubt a mallet shaft on the left side, and where else do you see bike riding through a chain-link fence. These pedals being plastic are better for polo than any metal platform pedal, probably cheaper too. But in my VP Components post from a couple days ago I said I don’t like pedals with two large openings, here is an example of that. 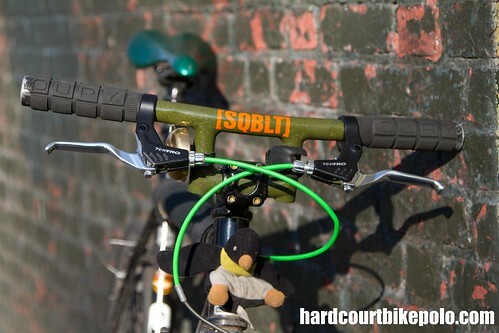 I would never suggest riding metal pedals for hardcourt bike polo. The opposite really, metal pedals are the first thing I’d suggest swapping off a polo bike. Plastic all day, pedal strike will happen and you want it to happen with a soft material, not with metal pins griping the pavement. 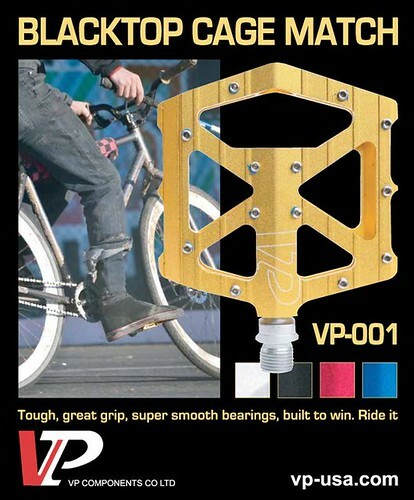 That said, these pedals look like they might be my new pedals on my street bike, I like the large platform and extra surface area created by the X pattern. I never like the more common design that leave two large openings. Anyone know who the polo player in the photos is? First let me say that I have never seen one of these first hand. 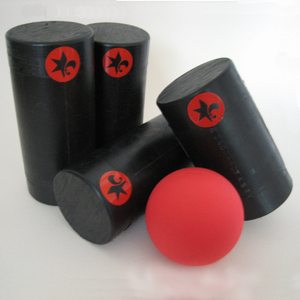 I was just browsing the White Industries website and happened upon this new product. I’m a big fan of White Industries and on my three most ridden bikes, all have at least one White Ind. component. Right away I saw the bike polo application with this bash guard/ring. I even Google imaged it and did a Flickr search to get a look at more photos. But no luck other than the two small ones on the site listing the product. Here is one of the two from the site. This is a more expensive set up than say, something imported. But then again this is made in USA. A big plus in my book. And White Industries makes top quality stuff. At least everything I have ridden. 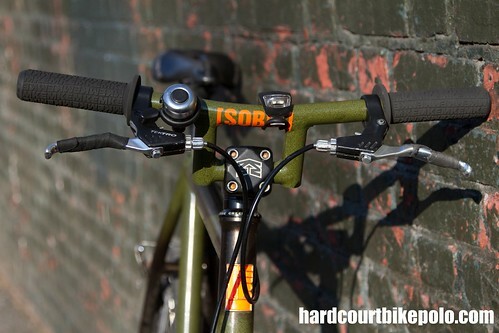 According to their site’s suggested retail price lists the ENO Cranks and the Bash Guard/Ring are sold separate. 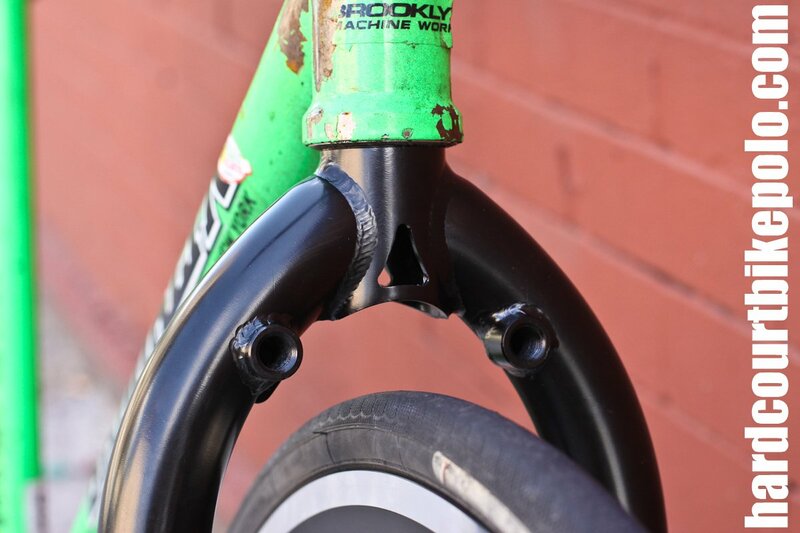 The list for the cranks is $200 in your choice of 170mm, 175mm, or 180mm. 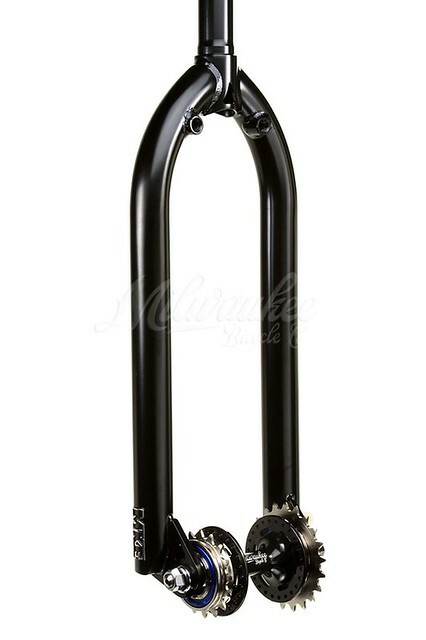 And the Bash Guard/Ring comes in 30t, 32t or 34t for $68. Some words from the product page. 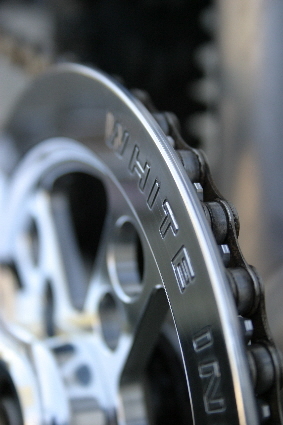 Introducing our newest chain ring with an integral bashguard machined as part of the ring. 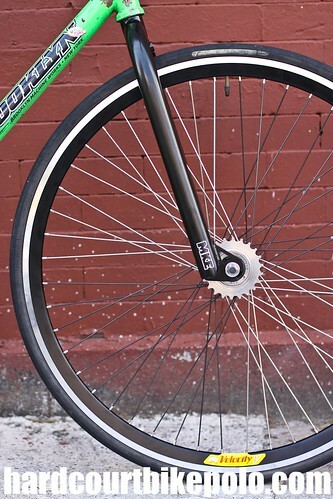 The bashguard/chain ring unit has our proprietary crank spline interface and is machined out of 7075 aluminum. Available in sizes 30t, 32t and 34t, made in the USA, and can be ordered in polished silver or black anodized finish. Seen above is the Tournament Doubles. Tournament heads emphasize reduced weight. They’re built around 3400 series HDPE DR17 pipe, which has a thinner wall than the utility pipe you’ve been using. It’s made from the same grade of plastic, so it will wear and play the way you’re used to, there is just less material to grind away. Also offering a Dual-Pull Brake Lever in short pull and long pull options.